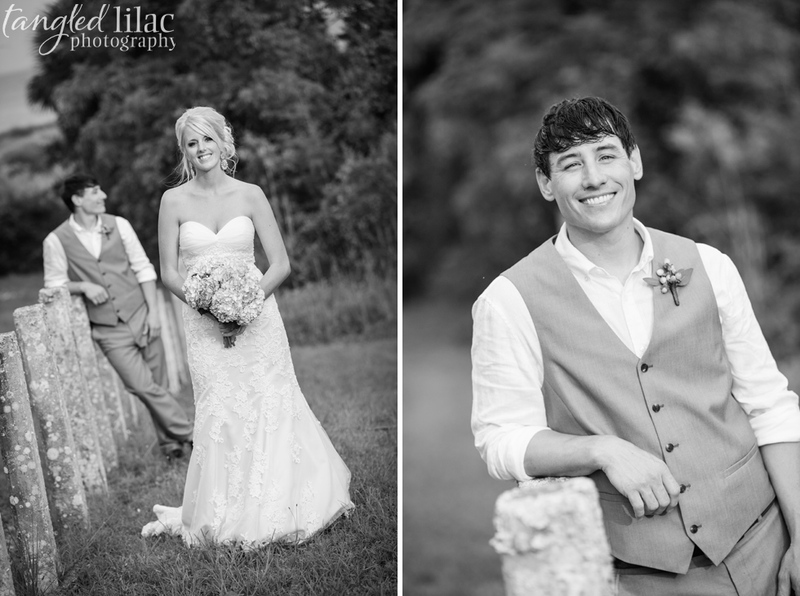 While living in North Georgia, Jeanna and Bryan became friends through Jeanna’s brother, Evan, and ultimately fell in love. They were engaged within three years and married nine months later. 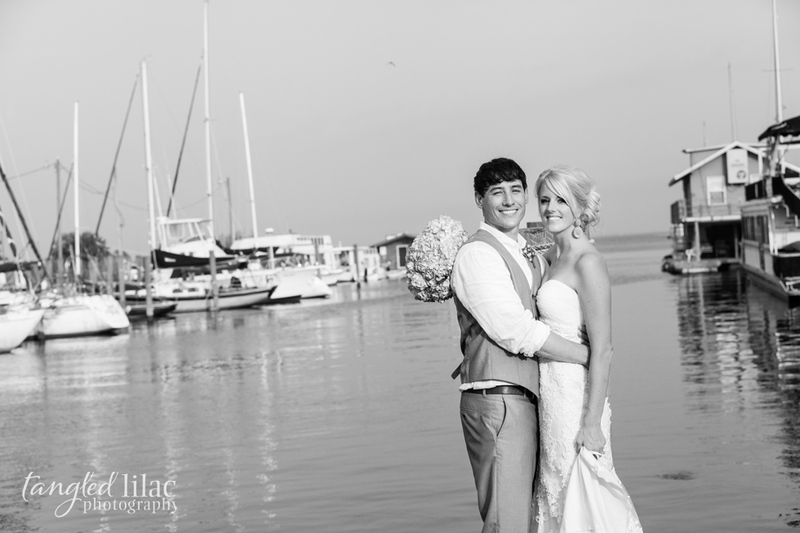 During their friendship and ultimately, courtship, the couple would vacation in a beautiful gem of Florida, Apalachicola and nearby St. George Island. 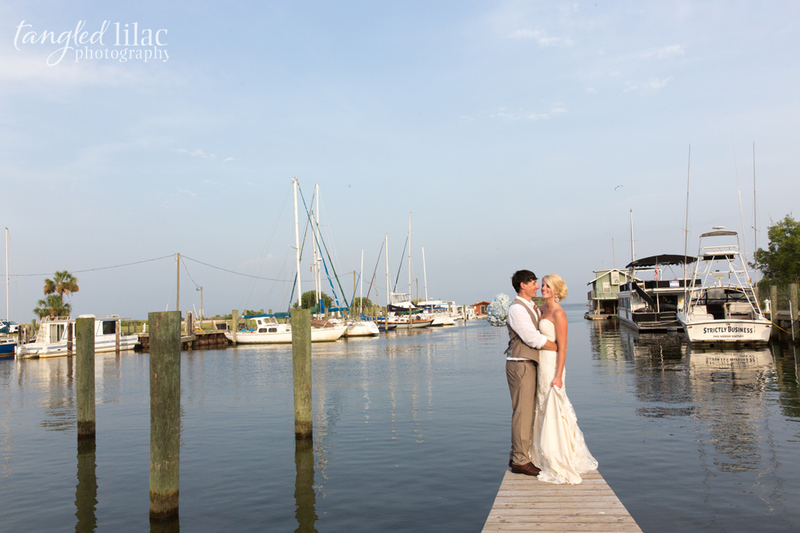 Because of their affinity for that piece of the world, they chose to have their ceremony and reception in Apalachicola, Florida. 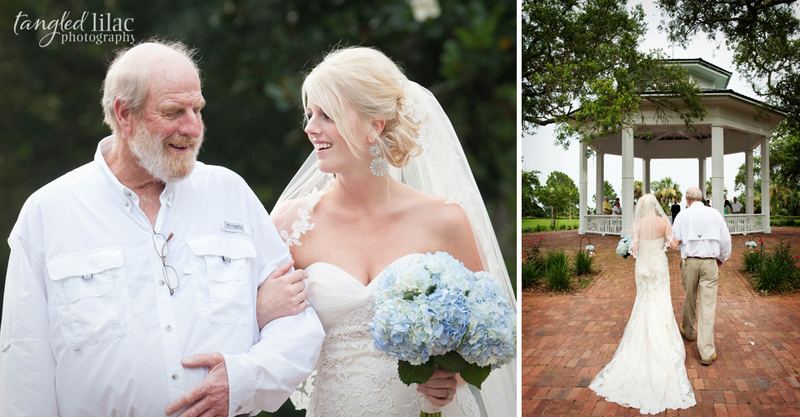 Jeanna relied on the beauty of the natural surrounding for inspiration for her decor of her classic, southern wedding. 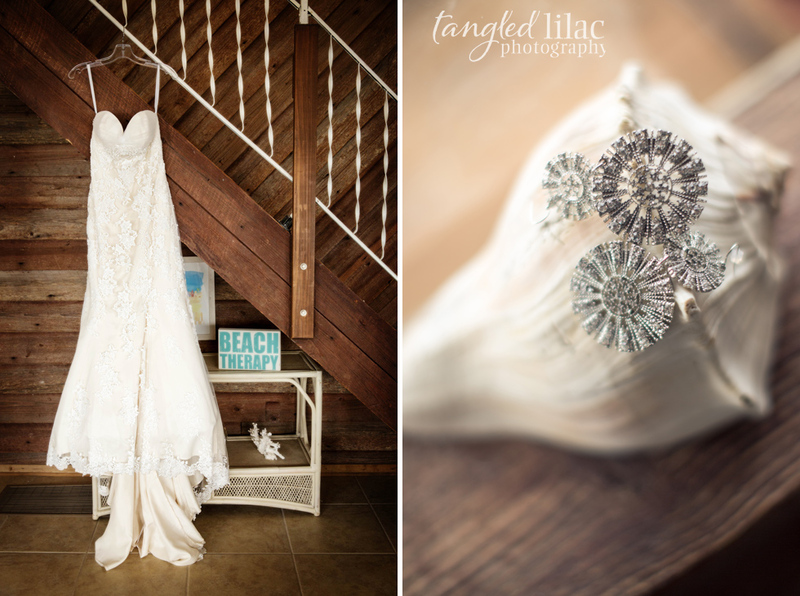 “The decor was more simple as we had to plan it and bring our decorations 400 miles for the wedding,” says Jeanna. 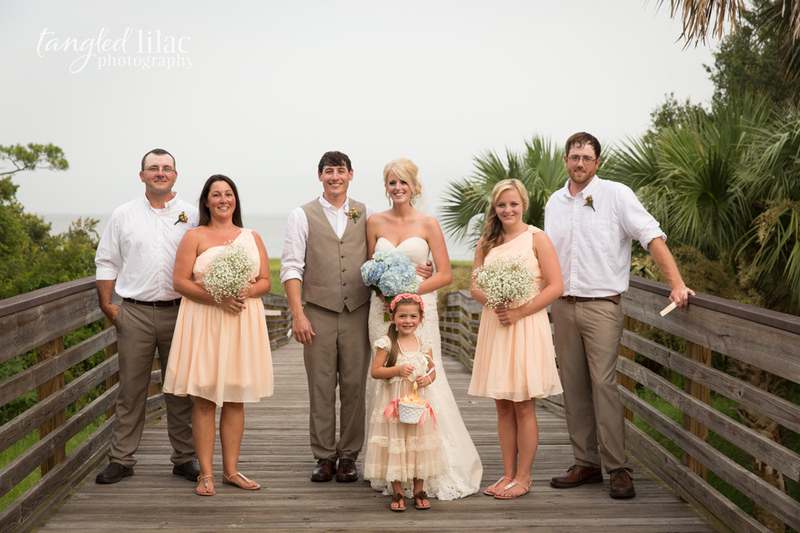 The couple chose a pastel color palette with peach and pale blue as their wedding colors. Jeanna and Bryan also wanted to tie the ceremony and reception locations together with their decor. “It drew on a vintage theme, which I love, and went nicely with the gazebo and the Owl Cafe’s vintage feel,” says Jeanna. 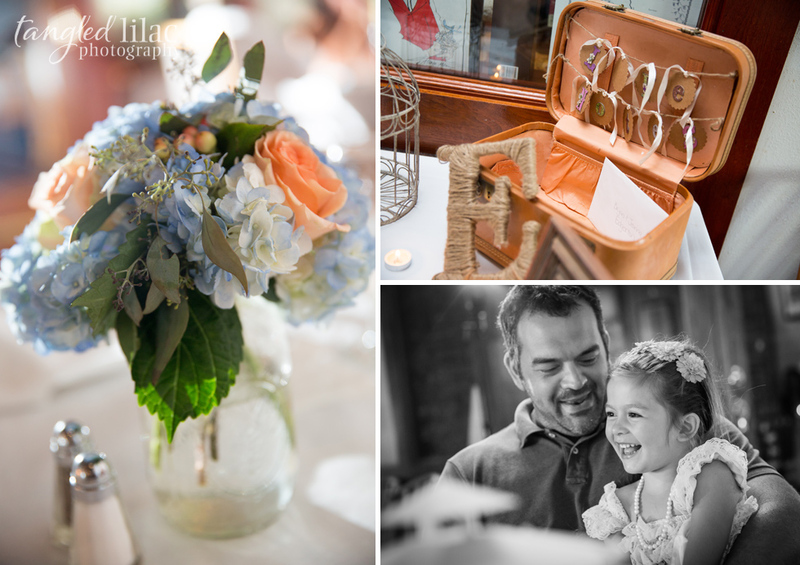 One vintage-inspired element at their wedding was a small orange suitcase for “love notes” written by guests. 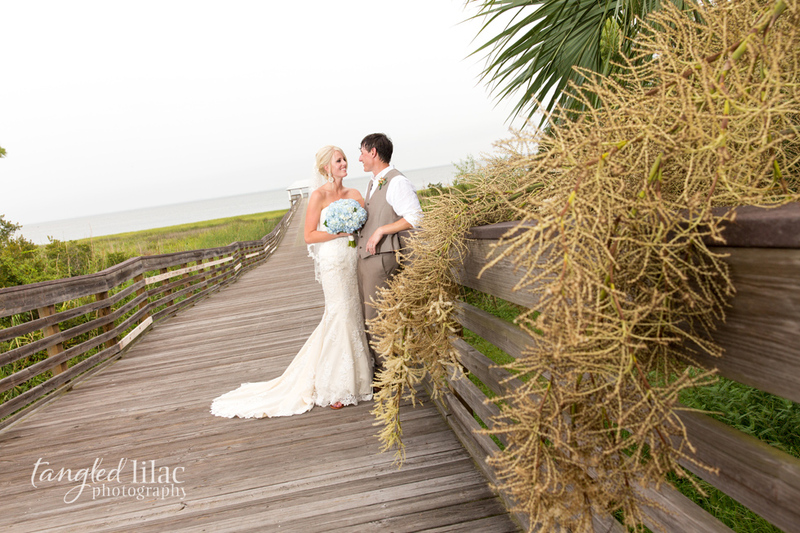 Their ceremony location and floral arrangements also held a special place in the bride’s heart. 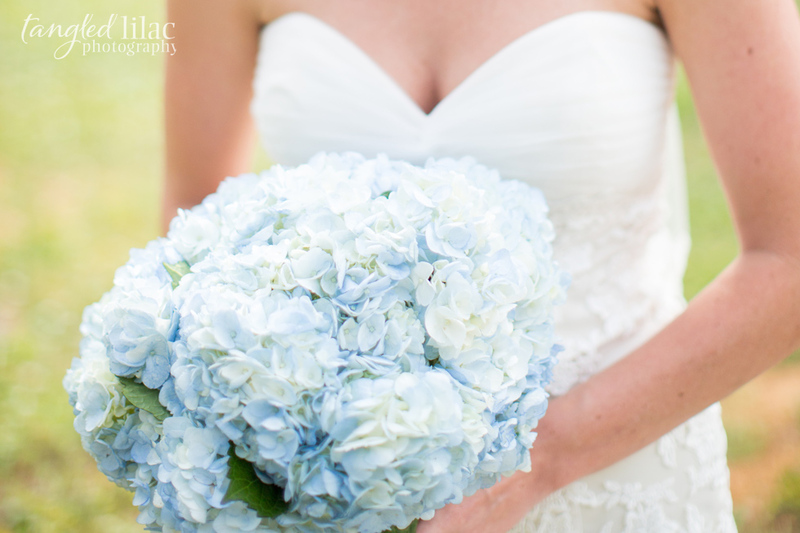 She had always considered the gazebo in Apalachicola’s historic Lafayette Park to be a special place and wanted pale blue hydrangeas to reflect the flowers outside her childhood home. 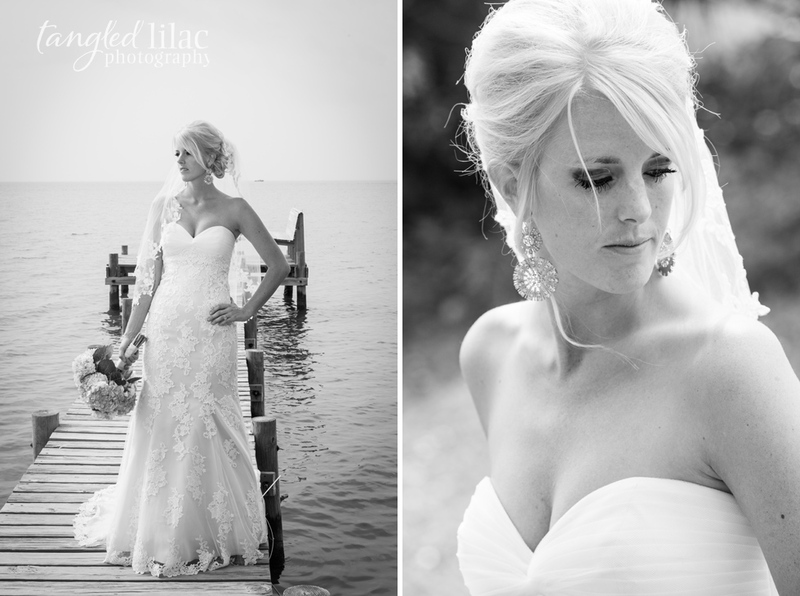 Jeanna’s dress was a gorgeous lace mermaid gown which looked like it had been made for her. She definitely was a vision of beauty. 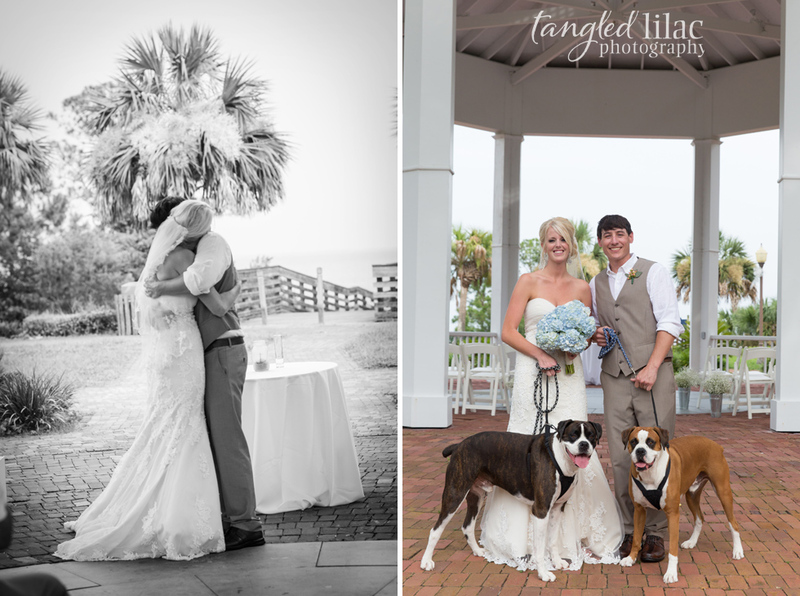 However, the couples two boxer dogs, Rosco and Boss, stole the show when they started barking during the vows. 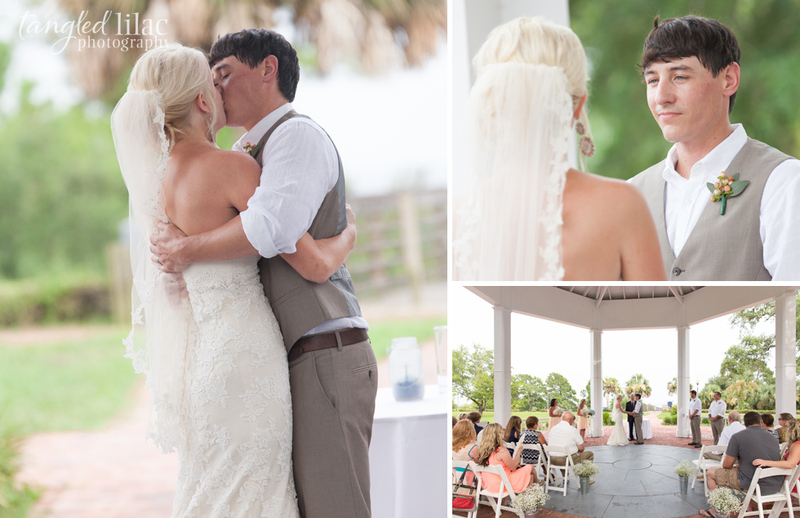 Their wasn’t a dry eye in the crowd as they exchanged vows and had their first kiss. It was a sweet moment. 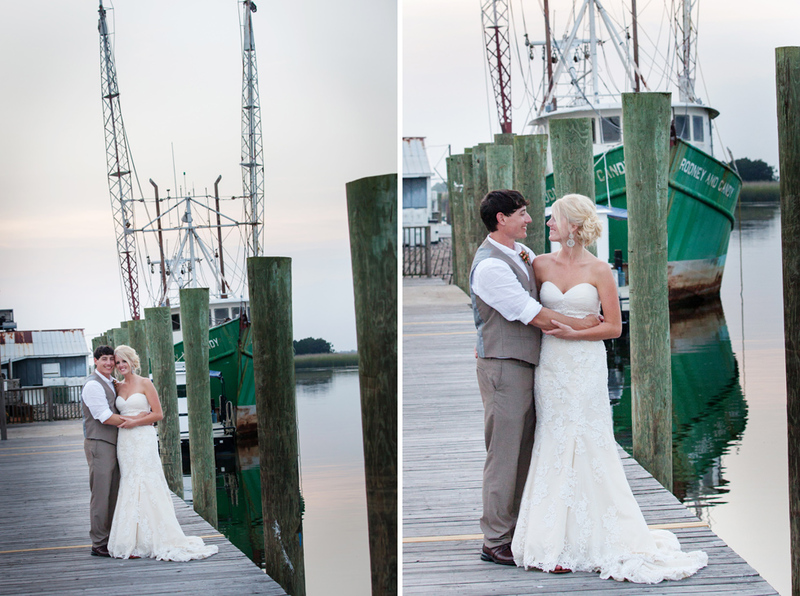 After the ceremony we explored the area around the gazebo and pier and then headed over to where the boats were docked for more photos. 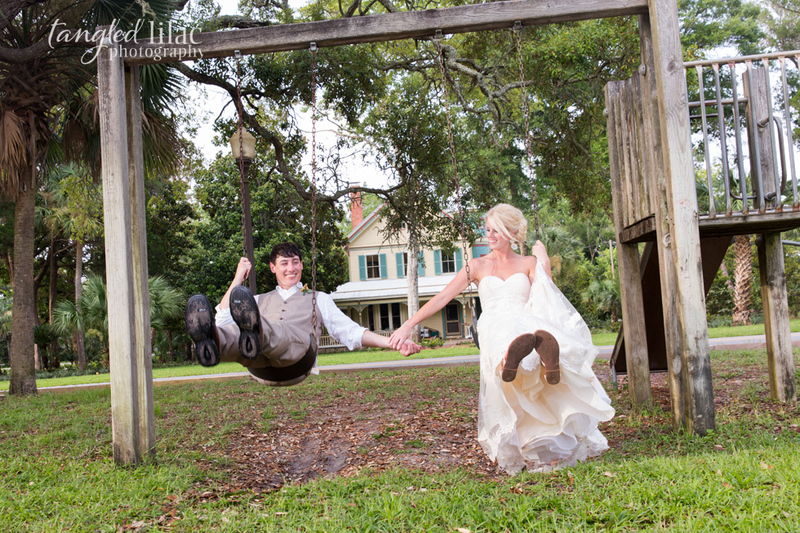 It was a blast being a Florida wedding photographer! I hope to get back there soon. It was an enchanting southern evening. Congrats Jeanna and Bryan! 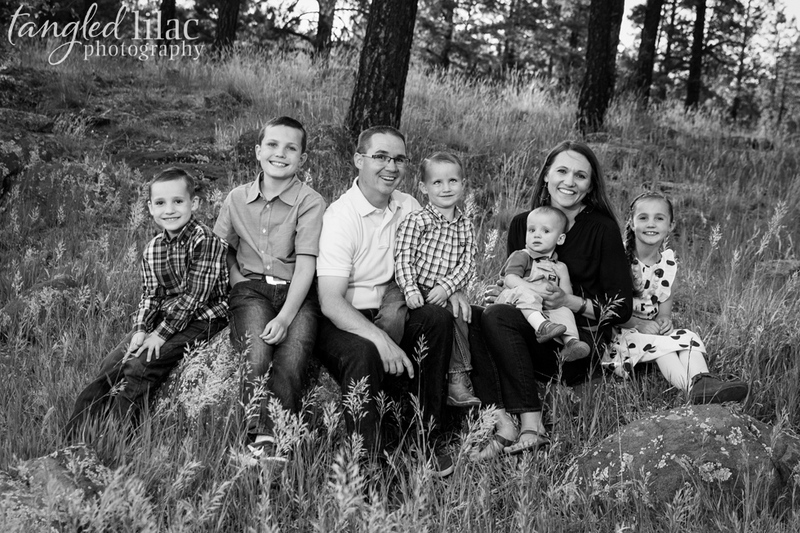 The Lewis Family moved to Flagstaff last year from Yuma. John has worked at National Bank of Arizona for most of his career and they were delighted when the company chose to move them to Flagstaff. 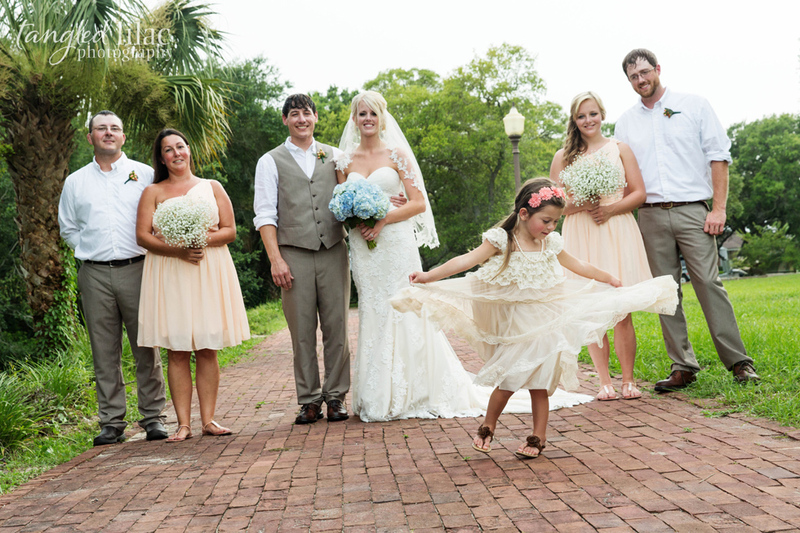 We chose Frances Short Pond as the location for their sweet family. 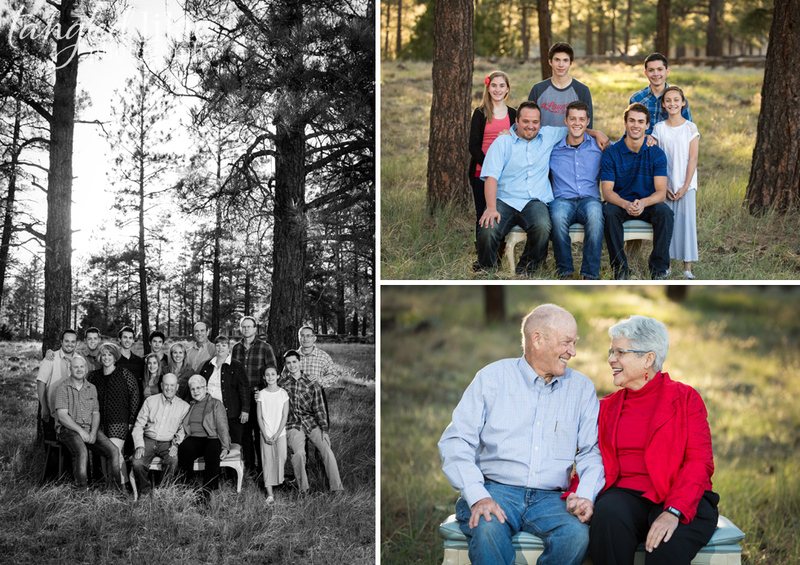 Part of the benefit of being Flagstaff Family Photographers is that we have so many beautiful locations available. Their five kids, who all go to DeMiguel Elementary, were a joy to meet and we loved hearing about their first year in Flagstaff. This family is also celebrating the purchase of their new home here in the high country and we’re so excited to see how they hang their new family photos there! 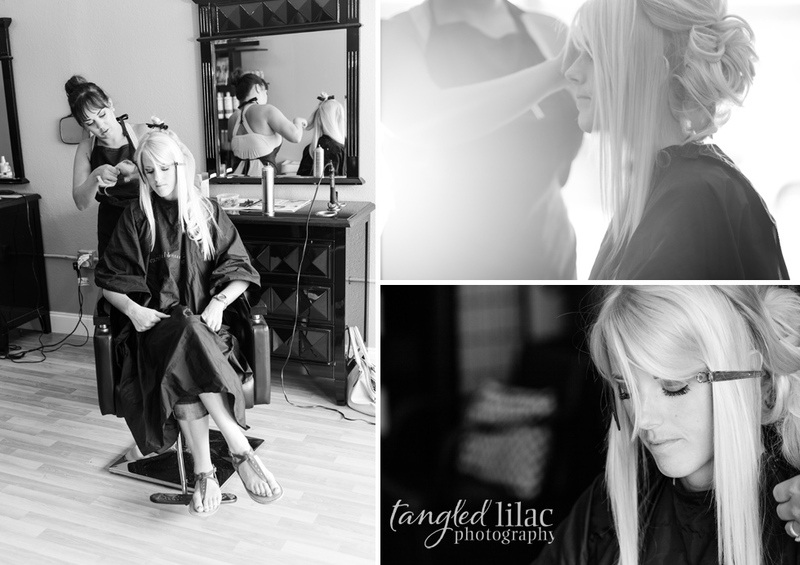 Thank you for letting us capture your memories! This past fall, I traveled to Dade City, Florida for the wedding of one of my dearest friends, John Sessa. I met John back in 2003, when I was on the trip of a lifetime, to cycle part of the Tour de France. In an act of serendipity, John was the bike mechanic for the tour group company, and he quickly became friends with myself, and my friend, John, who accompanied me on the trip. I left France with the cell phone number of John Sessa, knowing that somehow, our paths would cross again. Those paths intersected once again just four months later when he came out to Flagstaff for Thanksgiving, and eventually moved in with my then friend, Grant, who four years later, became my husband. Do you feel like you need a flowchart, cause sometimes I feel like I do. 🙂 Over time, we lovingly nicknamed him “The Bike Whisperer”. He was like the McGyver of bikes, he could fix anything. But, although we loved having him here, John got restless. His favorite thing to say was “Home is where the heart is, and my heart is on the road“. John soon accepted a job as the lead mechanic with a pro cycling team and he was off to Europe, Asia and many places in between for bike races. One of my favorite things was for him to roll into town with the various bike team buses (Fakta, Rock Racing, Jelly Belly, and most recently, Team Type II). I loved the look on my neighbors’s faces as they spied the 20+ foot cycling trailer parked in front of my home. I remember when John came back to Flagstaff for my wedding in 2007, I asked him what was new. He said, “Well…I’m kinda seeing someone” (which is, just so you know, dude talk for “I’m in a serious relationship”). I asked him a few questions about this gal, and she sounded like the coolest chick I could ever imagine, smart, a talented journalist, beautiful and caring. John even described her, in his own endearing way of making up his own words, as “awesome-a-fied“. It wasn’t long before I got to meet Molly myself when she visited Flagstaff, and I agreed with John, she WAS super awesome-a-fied! 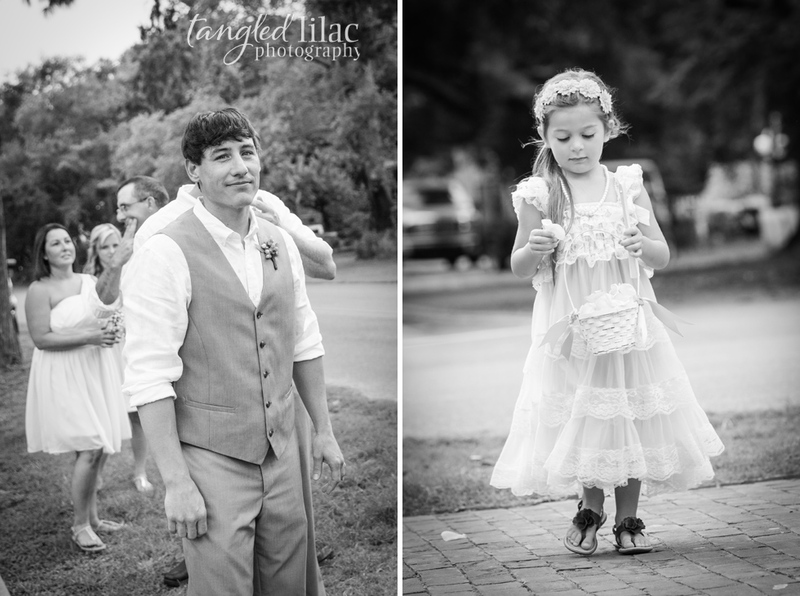 Fast forward to September 2011 and John was here for our friends, John and Zsuzsi’s, wedding. He stopped by the studio to say hello, and then, I remember he said to Kristen and I…, “So….you chickas wanna go look at some engagement rings with me?” Yes! First of all, it takes NO arm twisting to get Kristen and I to look at sparkly, beautiful rings, and secondly, I was so happy for John that I wanted to explode. After a couple of hours of looking at several different options, John ended up picking up a beautiful set from our local jeweler, Will McNabb, and I can honestly say, it’s the perfect ring for Molly. I hope you enjoy a few of my favorite photos from the day! I just found this photo of John, John and I in Paris. I just had to share this photo of the three amigos. What a great time we had! It’s funny just how quickly nine years can pass. I’m am so fortunate to have such a great group of friends. Friends that has really become my family. Congratulations to Molly and John! Thank you so much for having me as your photographer, but mostly, thank you for your friendship.